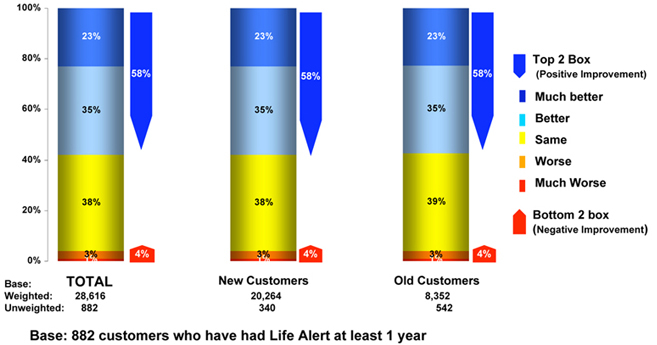 58% of Life Alert’s customers for longer than a year think that their quality of life has improved since getting Life Alert. Only 4% feel it has gotten worse. Q.- How much has your Quality of Life improved since you became a member of Life Alert?